Straight from their Mobiles & Tablets category, Lazada Philippines is set to roll out discounted Android tablets for 1,000 users who are following their Official Account on WeChat. 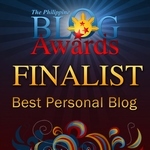 Each chosen user will be able to get hold of the gadget for P999, which is originally priced at P2,499. 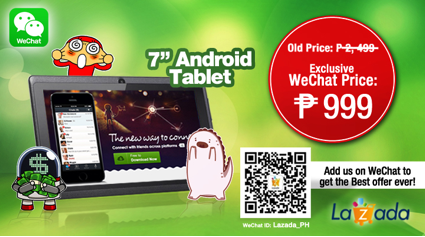 Follow Lazada Philippines via their WeChat ID: Lazada_PH and don’t miss this great opportunity! 1. Type Lazada_PH on the search tab. 2. Follow the LazadaPH official account. 3. You will receive a message after following the page. That’s it! Isn’t it a great deal to grab? This serves as a ‘Thank You’ treat from Lazada Philippines and WeChat. Happy Shopping!